Ballaghaderreen Co. Roscommon, Ireland, WPH Press, 1/8/18– The first 40×20 major singles event kicked off on the first weekend of 2018, with top Irish stars Robbie McCarthy, Charlie Shanks, Martin Mulkerrins, Diarmaid Nash, Stephen Cooney, the Funchion brothers seeking 2018’s first major title in Ballaghaderreen Co. Roscommon, Ireland. The John Gaffney Memorial was named in honor of the late John Gaffney, one of the great coaches in the history of Irish handball, responsible for teaching a number of the top Irish junior handball players in Ballaghaderreen. 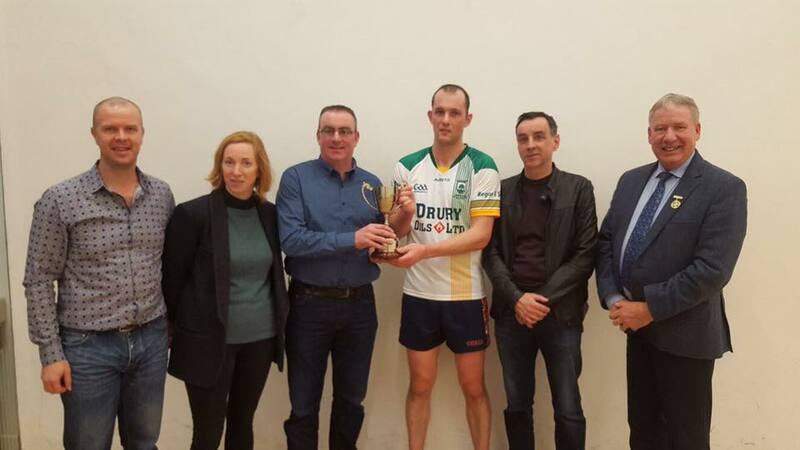 Adding to the prestige of the ninth edition of the Gaffney Memorial are the valuable GAA 40×20 Senior ranking points available to the top finishers, making the John Gaffney one of the few tournaments throughout the year with 40×20 ranking points. 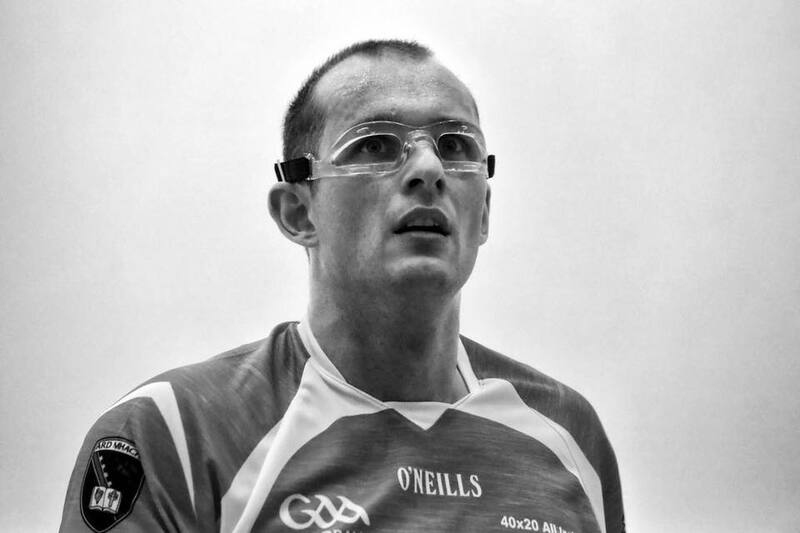 Charly Shanks entered the 2018 Gaffney as the #1 ranked player in Senior 40×20 Irish handball and the top seed. Shanks would be pushed to the limit in his quarterfinal clash with R48 top 16 pro Stephen Cooney, playing his first match on Irish soil in three years. Cooney led the former R48 #1 throughout game one before ultimately being caught by Shanks at 14. 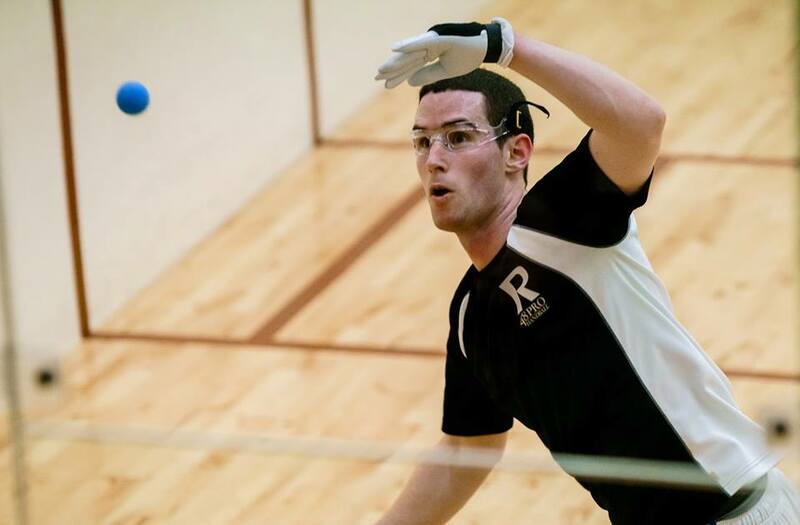 Shanks escaped by the most narrow of margins in game one and cruised in game two to face 2017 Irish 40×20 Nationals champion Diarmaid Nash in the semifinals. Nash and Shanks had staged a number of memorable battles and this semifinal clash would be no different. Shanks bounced back from a lopsided first game loss to even the match a one game apiece. The tiebreaker saw several momentum changes before Shanks eventually overcame the left-handed master. 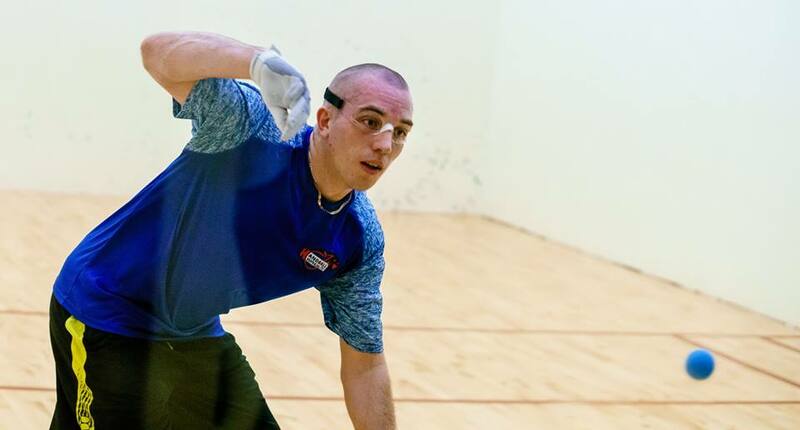 Second seeded Robbie McCarthy completely dominated the bottom bracket, allowing his quarterfinal and semifinal opponents just three combined points to setup a finals showdown with Shanks. McCarthy continued to play flawless handball in the final, taking game one against Shanks. Shanks kept his nose slightly in front of McCarthy in game two, building a 12-10 lead in game two and overcoming three errors late in the game to force a tiebreaker. Shanks built a 6-1 tiebreaker lead, but as McCarthy has proven on numerous occasions, no lead is safe against the “Buzzsaw.” McCarthy quickly erased the deficit, scoring five unanswered points in just 70 seconds to tie the score at six. Shanks reestablished the momentum with two fearless left-handed kills from behind the short line and closed out the match with a perfectly placed left-handed paddle pass that hugged the left side wall. “Just honoured to have been able to lift the trophy dedicated to the late John Gaffney,” expressed Shanks.